Guests and photographers are mailing zip files of photos to Kae Davis. We’re dividing sets in our photoblog collection by photographer, so please include your contact information and website addresses. If you are an amateur photographer and send us your company logo and business information, we’ll post it up on the web as a thank you. Professional photographers are encouraged to leave a more detailed bio. EARLY MORNING TRAVEL HOURS OR DISTANCE COMMUTERS~~~~~ GUESTS… DON’T RUSH–PLEASE DRIVE CAREFULLY… WE’RE STARTING LATE TO KEEP THINGS SAFE. 11AM – 12PM GUEST ARRIVAL FOR BAG PURCHASE AND BREAKFAST ITEMS… (OKAY, SO NO BIG DEAL–SAME ITEMS, NEW TIME, SO WE’RE JUST GOING TO HAVE TO SAY IT’S OUR RAINY DAY CASUAL BRUNCH). DRIVE OUR PASSPORT SCAVENGER HUNT ROUTE THROUGH BALTIMORE COUNTY AT YOUR LEISURE AND MAIL IN YOUR RESULTS BY SEPTEMBER 22ND… WE’LL BE ANNOUNCING THE RALLY WINNER OR WINNERS AT THE CONCOURS D’ELEGANCE ALL ITALIAN VEHICLE SHOW SPONSORED BY THE CHILDREN’S GUILD SEPTEMBER 28TH AT HARBOR EAST. LIGHT LUNCH FARE BITES WILL BE AVAILABLE FROM 12PM-2PM. TASTE TREATS FROM ADORE ENTERTAINING, CIAO BELLA, AND SWEET LELAS IN OUR MASERATI SHOWROOM (the front showroom) AND MOB EXOTICS GALLERY (the middle showroom) WILL BE AVAILABLE TO ALL GUESTS WHO HAVE DONATED TO THE USO METRO TABLE (FREE TO VOLUNTEERS AND VENDOR STAFF, SOLDIERS, TOO). FOOD AND BEVERAGE VENDING WILL BE AVAILABLE THROUGHOUT THE DAY FOR VISITORS, CLIENTS, AND SPECTATORS. SOLDIERS AND VETERANS DAY IS FREE WITH PROOF OF SERVICE OR MILITARY ID. WE’LL BE SERVING TASTY AND HOT FOOD ITEMS TO HELP IMPROVE THE DAMPEST OF CHILLY SPIRITS ON A SOGGY DAY. WITH ALL OF OUR VENDORS DONATING A PORTION OF THEIR PROCEEDS TO THE USO, THIS IS A GREAT OPPORTUNITY TO HELP THE USO RAISE SOME MONEY. BRING YOUR DIGITAL CAMERA–THERE WILL BE EXCELLENT PHOTO OPPORTUNITIES THROUGHOUT THE LUNCH HOUR & AFTERNOON. WE KNOW ONE THING FOR SURE… NO MATTER WHAT HARDSHIPS THIS STORM IS BRINGING TO OUR MARYLAND REGION, IT’S NOTHING COMPARED TO THE DIFFICULT TRAINING AND JOB ASSIGNMENTS OUR SOLDIERS GO THROUGH. ALL OUTDOOR EVENTS WILL BE WEATHER DEPENDENT. HERE’S THE PLAN WE HAVE IN PLACE AND INTEND TO FOLLOW… WITH MORE POSTS ONCE WE SE HOW THE STORM TRAVELS. 1. NO OUTDOOR TENT VENDING AREAS OR SEATING AREAS (TAILGATING OR FESTIVAL) WILL BE PERMITTED IN RAIN OR WIND CONDITIONS. 2. CAR PROTECTION IS OUR #1 CONCERN SO WE’RE DUCKING FOR COVER (TO PREVENT OUR FESTIVAL ITEMS FROM BLOWING INTO CARS DURING INCLEMENT WEATHER CONDITIONS). ALL OUTDOOR CAFE AREAS ARE BEING RELOCATED TO OUR RACE SHOP AND WASH BAY AREAS TO THE REAR OF THE STORE. 3. STRUCTURED PARKING ON SITE OF EXOTIC OR ANTIQUE/CLASSIC CARS ONLY–LIMITED TO FIRST 80 QUALIFIED ONSITE VEHICLES. PLEASE RESPECT OUR SOLDIER VOLUNTEERS AS THEY DIRECT YOU SAFELY INTO SPACES AND WATCH YOUR DOORS. WE WANT TO BE SURE EVERYONE CAN BE INCLUDED EASILY AND WITH COURTESY TO AVOID DOOR BUMPS. LOOK BEFORE OPENING AND CAR DOOR, OPEN CAUTIOUSLY. 5. SHOTGUN PASSENGER DROP OFF AT REAR SERVICE DOOR ALLOWS QUICK AFTERNOON ENTRY. FRONT DOOR DROP OFF FOR VISITORS. GUEST SERVICE VOLUNTEERS WILL BE AVAILABLE ON SITE OUTDOORS DIRECTING PARKING AND AT ALL DOORS TO BOTH GREET AND ASSIST OUR TRAVELERS WITH AS DRY AN ENTRY AS WE CAN MUSTER. 7. THE ADORE SIGNATURE VIP LOUNGE AND CIAO BELLA RESTAURANT WILL BE LOCATED IN THE FRONT MASERATI SHOWROOM. SWEET LELAS MARKET CAFE AND THE ADORE VENDING AREA WILL BE LOCATED IN THE MOB EXOTICS GALLERY. THE MOUNT WASHINGTON TAVERN, SAMMY’S TRATTORIA AND THE CHAPIN DAVIS SPONSORED “AMERICAN GRILL” AREAS WILL BE LOCATED IN THE MASERATI OF BALTIMORE RACE SHOP AND DETAIL ZONES. SEATING AREAS WILL BE STATIONED THROUGHOUT THE BUILDING AS SPACE ALLOWS. 9. SPECTATOR SHUTTLE SITES TBA by 11am on Saturday, September 6th. 10. We’re watching http://www.noaa.org for zip code 21093 in case you want to keep checking along with us for weather updates tonight (Friday) and tomorrow (Saturday). 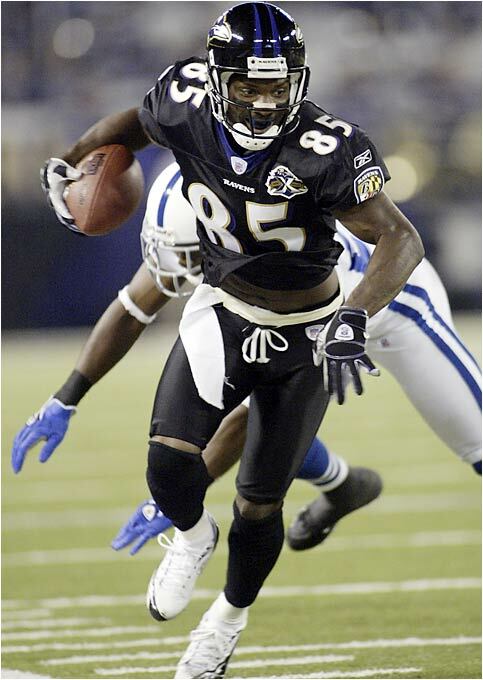 Don’t forget, Baltimore fans–SUNDAY is the Raven’s SEASON GAME OPENER here in Baltimore. Help us think RAIN RAIN, GO AWAY… BUT NO MATTER WHAT, WE’RE HAVING THIS FAMILY FRIENDLY TROOP SUPPORT FESTIVAL ANYWAY. Come one, come all. With everyone’s outdoor sporting activities canceled for the day, spend the afternoon browsing in our facility relaxing with friends the “M.O.B. Exotics” way. If the weather clears up, we’ll move our Cafe seating areas back outside and have an old fashioned exotic car lover tailgate day. 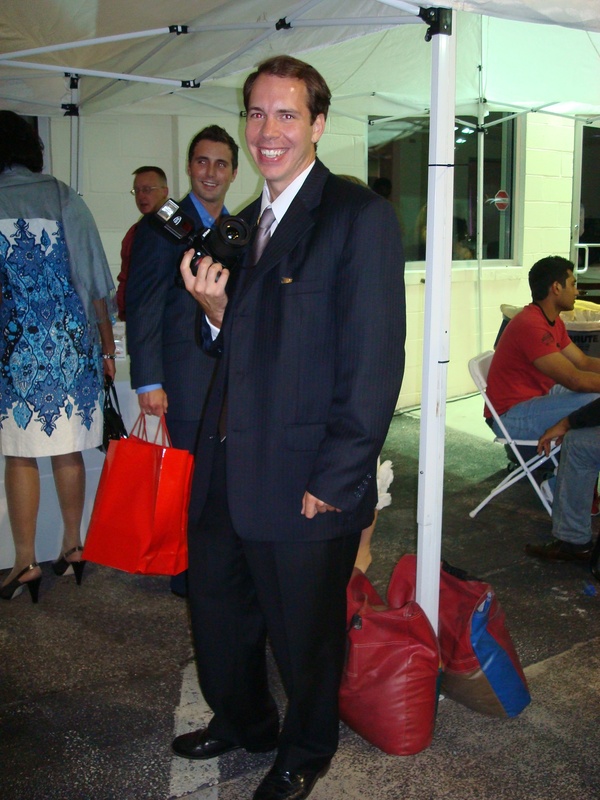 Reign Model Management Friends Sharing Photos of “Drive 2 Thrive” 2008 at Maserati of Baltimore–Thank You, Christian Siriano! We had a BALL! New pictures of the Maserati of Baltimore “Drive 2 Thrive” event are up and available at the MOBEXOTICS Flickr Photoblog. Jack Davis knows the Maserati Lifestyle is about more than just driving a CAR--it's about living your life with Style and Passion. We’ll keep more pictures coming and do ID tags in the coming weeks for guests. Until then, PLAY IN TRAFFIC and we’ll look forward to seeing you Saturday August 30, 2008 for our ride and dine event and Saturday September 6, 2008 at the MASERATI OF BALTIMORE RALLY FOR THE TROOPS Festival, both right through the dealership at Maserati of Baltimore. Baltimore Ravens 2008 Football is about to begin. Click HERE to visit the Ravens and show support for them this season. Though we are disappointed with the cancellation of the 2008 “The Concorso: Celebrating the Art of the Automobile” previously scheduled events to be held Saturday September 6th and at BWI and Sunday September 7th, 2008 at Power Plant Live! we are happy to know we can regroup both with and for the troops. If you are at the game, give an extra loud shout out for Maserati man Derek Mason. We know we’re hoping to be there, recovering from our big “Maserati of Baltimore Rally for the Troops” September 6th, 2008 full day dealership Road Rally and “Exotic, Unique, and Antique” Car Show festival to benefit the USO Metro. Keep a watchful eye out for our staff at the Ravens event. We expect Alfred Ramos will be hanging out in one of the fancy owners boxes, showing support like he always does. Until Jack can manage to have a purple and black Lamborghini built to go along with the Orioles Orange, he’ll probably be the one out back in our SUV tailgating while doing most of the “go team” roar of the crowd cheering and screaming. All the Maryland area troops are rooting for you, and if they are home on leave, they’ll be at your game, too. Calling all camera lovers and fashionistas. Maserati of Baltimore invites photo submissions to thank Christian Siriano for coming home to Baltimore to help raise funds for Literacy and our area’s children. Ladies and gentlemen, time is of the essence and the Drive 2 Thrive Christian Siriano Maserati event photos are beginning to arrive. With a few days to rest and recover, we are anxiously awaiting to see what each persons “take” on the event was… with everyone’s cameras flashing, we want to see this event through the lenses of the public you. Here’s the deal. Think of our request as your opportunity to sign a big thank you note. We have the event setup photos posted and have all the photos back and posted that were returned to us from Echelon Life to date. Now, it’s up to the photographers and press to send us back any pictures they have of the event. Amateur and professional photographers are welcome to contribute their items. Send one or two photographs, send a hundred. It’s all up to you. Did we say YOU? Yes–Help us tell Christian THANK YOU! If your camera holds a few glamorous clear, artistic, or special friend photos of the “Drive 2 Thrive” nights events, please submit them to Jack & Kae Davis at mobexotics@gmail.com. 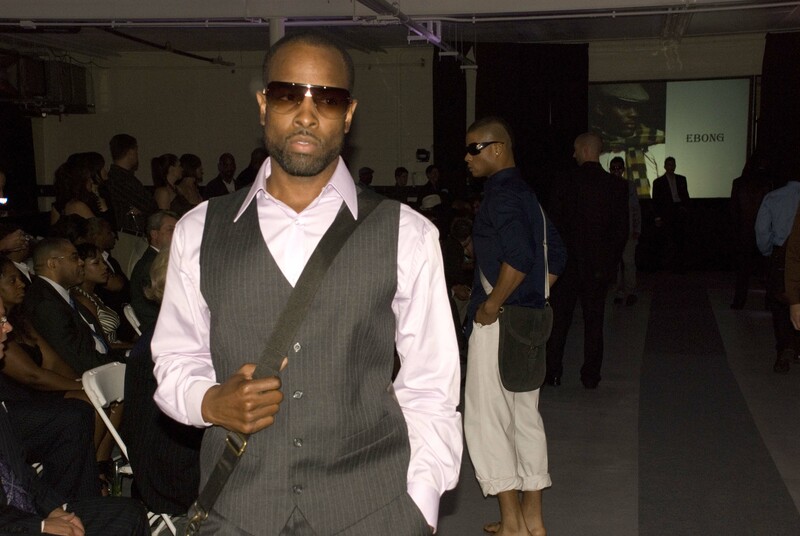 Please indicate the names of guests, designers, vendors, or models if known. Include your name, website, email, press resource, or photography company represented so Maserati of Baltimore can give appropriate credit and trackback links so viewers who love your photos or photography skills can get back with you. Don’t be bashful! Submit your own pictures and stand up as a friend of the MOB EXOTICS staff and crew. If you are feeling clever, write a few sentences, a paragraph, or a little story to go with each photo–and sign your electronic signature so we can give credit. Tell us how you found our event and if you love our cars, which one is the ultimate fashion accessory. 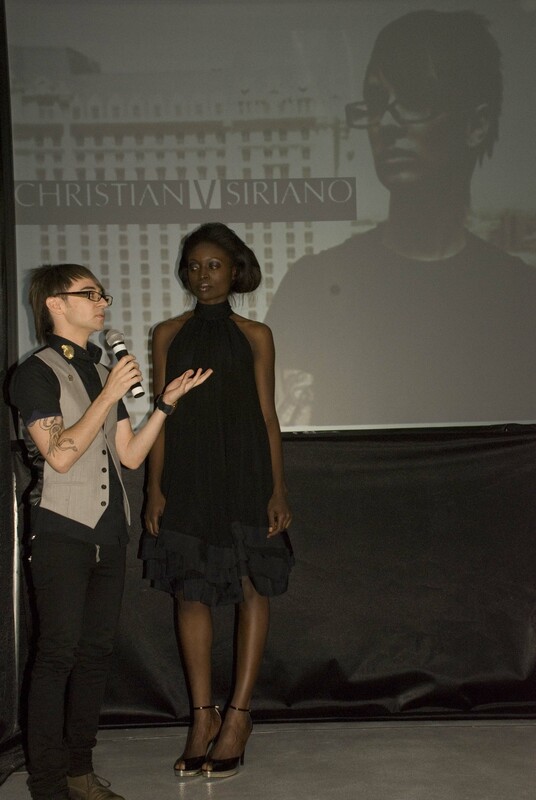 It’s your chance to say hello to Maserati of Balitmore and let Christian Siriano know how much you love his designs. 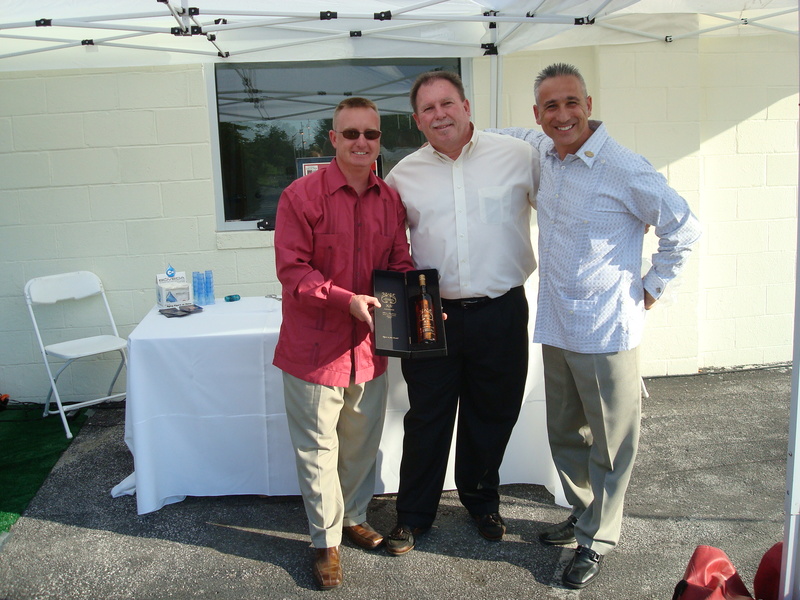 Maserati of Baltimore wants to give back to… the Greater Baltimore Washington DC region and the International Car Guy World. We are here for the community as a whole–and appreciate being able to give back to Baltimore for all the love they have shown our dealership and all the great things these charity benefits and fund raiser drives are able to do. It’s not exactly a contest, but we’ll leave it open to the web to decide which are the most popular photos, how many have been declared a favorite, and we’ll post the results right here next month after we’ve had a chance to review. Vendors–send in your logos and website links (we’re putting them up as a thank you). Volunteers–include your favorite fan photography picture of you and one of our exotic cars (becuase we could not have done all this work without you). Models who were in the show are welcome to include their name, contact information or modeling agency representative, and favorite offsite portfolio shot, too. We meant it when we said we’d be sure to give all the credit for the car show’s tremendous success to the most elegant of Baltimore’s Youth. Sincerely, we could not have done it without everyone. THANK YOU. Bottom line, we (Maserati of Baltimore) were so appreciative of how hard everyone worked to make this special night such an astounding success, we want to be sure to follow though by giving some equally favorable kind words and public opportunity for friendly professional recognition back to you. Thank you, everyone, for not only enjoying an evening filled with the sparkle and roar of Ferrari, Maserati, and Lamborghini in Baltimore while hanging out with our local stars, but for dazzling us by creating such beautiful scenery of a glam scene with our exotic cars. Don’t forget to add mobexotics as a friend at Flickr (the photo gallery project maintained and administered by Yahoo). As a new company here in Maryland, we are just getting our proverbial feet wet in the Chesapeake Bay and Mid-Atlantic professional and family-oriented region, so it’s always nice to make new friends and get to see a friendly local face or two. Kindest regards and keep checking back regularly. We post new information all the time and try to keep the photoblog up in a time that is both expedient and on track with the pace of the fast moving Internet “technology-meets-event-press” need to know NOW moods. We understand. We’re like that. We’re like you. Take this as your chance to say hello or to send a public smile and thank you to Christian for inspiring our little York Road (Lutherville Timonium) corner of the fashion world. Hurry up and send your photos in to us to show–what’s YOUR favorite fashion gala view? 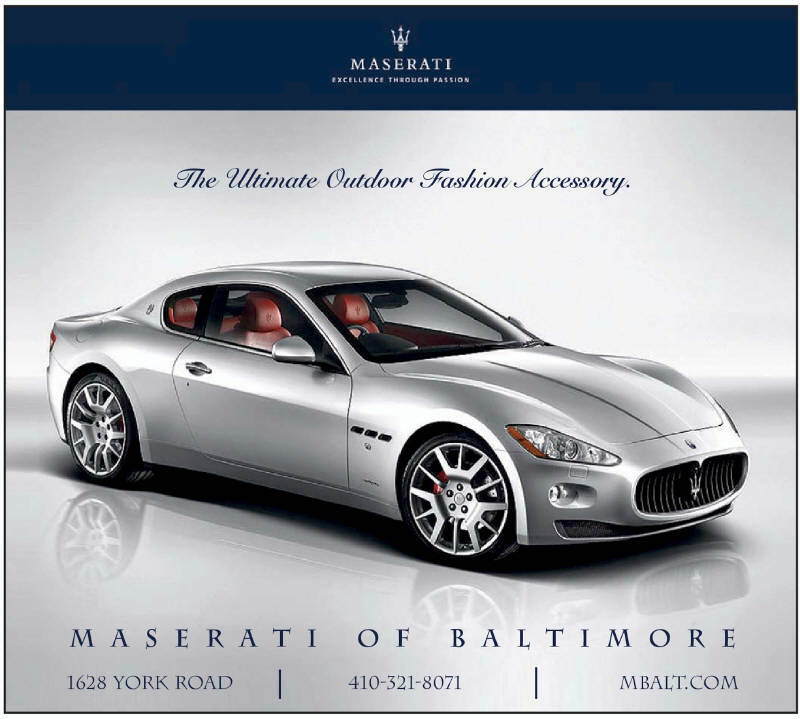 Special thanks to CBS affiliate and local news channel 13 for helping promote the new Maserati of Baltimore dealership’s latest special event program addition–a night helping raise money for Baltimore youth and literacy. TICKETS ARE GOING FAST! BUY YOUR TICKETS ONLINE BY VISITING WWW.DRIVE2THRIVE.ORG. Thank you, Christian for this fierce endorsement of the M.O.B. Exotic Car Gallery Fashion Show and Luxury Lifestyle special event and charity benefit! All of Baltimore thanks you for your participation and willingness to meet VIP Guests and Mbalt friends. Best of luck designing all the costumes for Uma Thurman’s new movie “Eloise in Paris“. We know Baltimore exotic car fans will be eager to see your next clever set of designs… whether high couture fashion breezing down or elegant fast and furious cars flying down the runway, all people who love the art of being MORE have a common love of one fine trio of things: beauty, passion, and ingenuity. Keep those designs coming, and when you get ready to buy your first Lamborghini, Maserati, or Ferrari–we know a guy you need to see (Jack Davis from M.O.B.). BALTIMORE (WJZ) ― On Aug. 12, Don and Marty talked to Christian Siriano about fashion and hair. Christian is teaming up with TRESemmé for a hair contest, called “How Fierce Is Your Hair.” Included are details of the upcoming “Drive 2 Thrive” event August 16th, 2008 at Maserati of Baltimore and confirmation that Christian will be there to help support Baltimore area Literacy. IF YOU HAVE NOT SEEN IT YET, CLICK HERE TO WATCH SEASON FOUR EPISODES FROM PROJECT RUNWAY WITH JUDGES HEIDI KLUM, TIM GUNN, MICHAEL KORS, AND NINA GARCIA… AND FALL IN LOVE WITH THE PERSONALITY AND DESIGNS OF CHRISTIAN SIRIANO LIKE THE REST OF AMERICA AND THE CELEBRITY NATION… CHRISTIAN IS ON THE FAST TRACK TO STARDOM, FAME, AND FORTUNE IN THE FASHION WORLD! and moving in a whole new direction to serve you. Be sure to check back often. Our blog sites are live and growing weekly and the dealer websites are under heavy construction. If you have any suggestions for content or would like to have us post any specific automotive details or links for the “car guy” and car lover community, let us know. You can reach us directly at maseratifans@gmail.com, ferrarifans@gmail.com, or lamborghinifans@gmail.com.